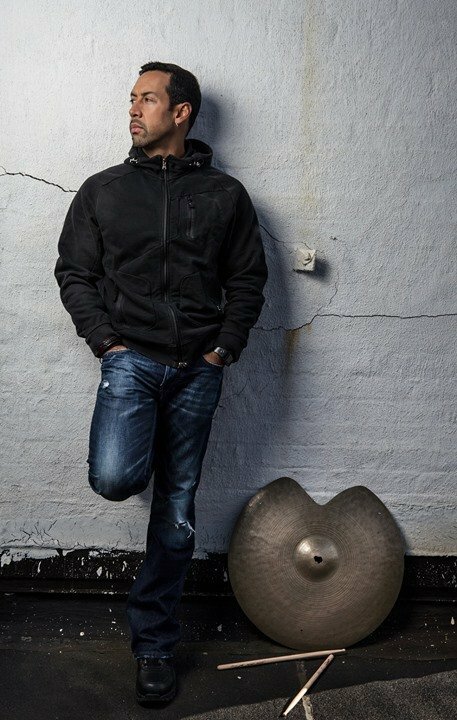 2014 proved to be a landmark year for drummer / composer / bandleader Antonio Sanchez. Long one of the most acclaimed and in-demand drummers of his generation, Sanchez's ever-expanding musical vision was discovered by new audiences through his Golden Globe and BAFTA-nominated score for Alejandro González Iñárritu's Academy Award-winning film Birdman or (The Unexpected Virtue of Ignorance), and a globe-spanning 150-city tour with the Pat Metheny Unity Group, the latest iteration of a 15-year collaboration between the guitarist and drummer – in addition to appearing as a featured musician in Miles Ahead, Don Cheadle's forthcoming biopic on Miles Davis as well as composing and recording his next album as a leader. Now, Sanchez follows that well-deserved success with two remarkably diverse new releases that spotlight the continued evolution of his compositional and band-leading talents. Three Times Three showcases Sanchez at his improvisatory best with three different but equally iconic all-star trios; while the breathtaking, sweeping The Meridian Suite features the composer's most ambitious work to date, an hour-long electro-acoustic suite penned for Migration, his working ensemble.